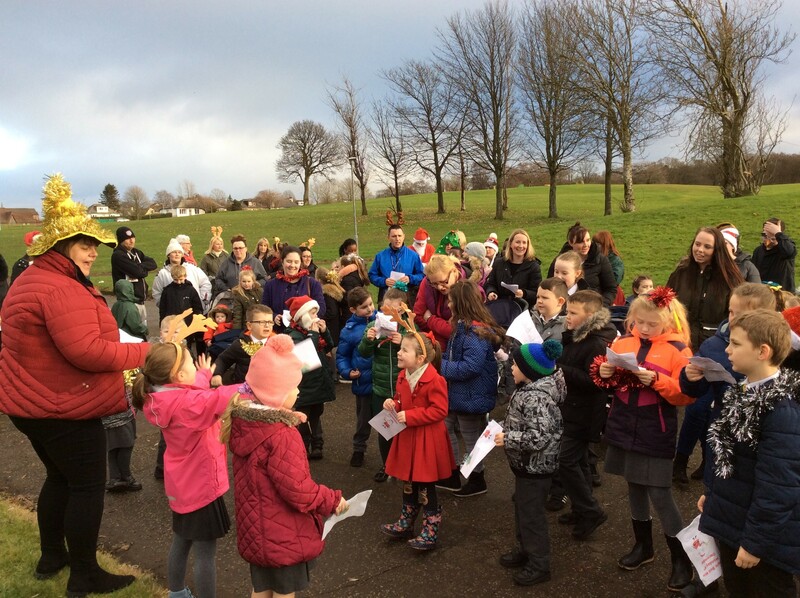 Pupils in Johnstone have jingled all the way round their local community as part of a festive walk. Together with their parents, teachers and their Active Schools Coordinators Scott Graham and Senga McLeod, pupils at St David’s Primary School took part in their first Jingle Bell Mile, a festive version of the School Daily Mile. Passersby were treated to Christmas songs as the merry group made their way around the community. Pupils have been tallying up the miles they walk since August, with the class that walks the most miles receiving a special prize each month. The whole school is aiming to walk the same distance from their school in Johnstone to another St David’s in Canada – a total distance of 2100 miles. Headteacher Linda Berry said: “We invited all of our family members to come and join us for a festive walk around our local community, stopping a couple of times during the mile to sing Christmas songs and spread some Christmas cheer to people who were passing by! “Our Jingle Bell Walk was a fundraiser for our school funds as well as an opportunity for our school wider community to join us in the daily mile.